6 Compelling Reasons to Use Video Advertising to Boost Your Business - Web Precision, Inc.
Advertising has shifted so much with the rise of the Internet, smartphones, seemingly ubiquitous WiFi, and the advent of social media, and businesses have had to adapt. Where advertising previously was mostly confined to print, radio, and television, it’s safe to say that things have changed a bit since then. 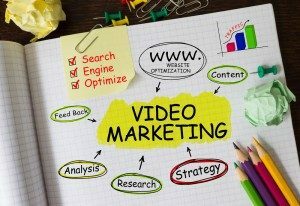 As a business owner, you may not be sure if video advertising is going to provide the benefits that you think you need. Well, online video marketing is working for thousands and thousands of businesses right now, so there must be something to it! Don’t worry, it’s not rocket science. We’ve compiled all the advantages to video marketing to help you understand how it may be able to help your business. Read on to find out more! 1. It’s modern and reaches a lot of people. Why have advertising that seems antiquated? Advertising through video that can be shared online is ultra-modern and as a result, has the potential to reach millions. Could you say the same for an ad placed in a local print newspaper? It’s impossible to distribute that beyond a certain geographical radius and limits your audience drastically. 2. Video is definitely reaching viewers. The population keeps going up, but more than that, people are watching more video than ever before. You can attribute that to how many people have smartphones, an emphasis on data, the success of YouTube and other file sharing sites, and social media. The point is, video is a hot medium right now– so take advantage of it! 3. Social media and buttons make sharing video so very easy! It is easier than EVER to share video, and people do! One person that likes a video that shares it on sites like Twitter can make it go viral and increases the amount of people that get access to that video. It lands in a lot more people’s laps and that’s just from one share! It’s so easy and gives YOUR video extra exposure. Videos are interesting. They don’t take as long as a book and they’re over fairly quickly, lasting from a few seconds to even a few minutes. Video is engaging and viewers actively soak up a lot of the message. People are interested in video, and that means that they’ll be open to listening to a message about your product or business! 5. It’s great for any SEO purposes. SEO is going to drive more traffic to your business and site and boost sales! So it’s great to do anything that’s pro-SEO. Your business is going to show up quicker on sites like Google when it comes to people searching for certain content and keywords. Having videos linked to your site will help your SEO too since search engines really favor video content. 6. See how your video does. Sites that host your video will have analytics that will help you see how popular the video is. You can also see such features as shares, views, and likes. Get an idea of how well your video is landing and how well it’s reaching an audience and plan your next video accordingly! Video is the future, and the future is now. Hop on board and watch your business bloom! Don’t wait any longer– try video ads today!